The objective of the training is to present a technical hands-on on HVDC-VSC systems. It is organized in collaboration with RTE. This course presents practical and technical information on HVDC-VSC systems and operations based on real projects. Temporary EMTP licenses will be provided to the audience. EMTP will be used to illustrate concepts and performances of HVDC-VSC systems. This course is intended for engineers, researchers, operators and maintenance personnel. It provides an up-to-date technical expertise on HVDC-VSC projects. The training starts at 8:30 am and ends at 5:00 pm every day. Lunch breaks (included in the course fee) are from noon to 1:00 pm. Manuel Aguado was born in Zaragoza, Spain on May 5, 1972. He obtained his degree in Industrial Engineering, electrical specialization, from the Centro Politecnico Superior de Zaragoza in 1997. He worked in Germany and France for ABB as project leader in the field of power stations and for ALTRAN as consultant in the telecom, medical and rail environments. Since 2004 he works for RTE, the French electricity network operator, in the market, operations and development areas. In the last 4 years his work is converter station engineer for several HVDC interconnectors projects at different states (feasibility, tendering and under construction). 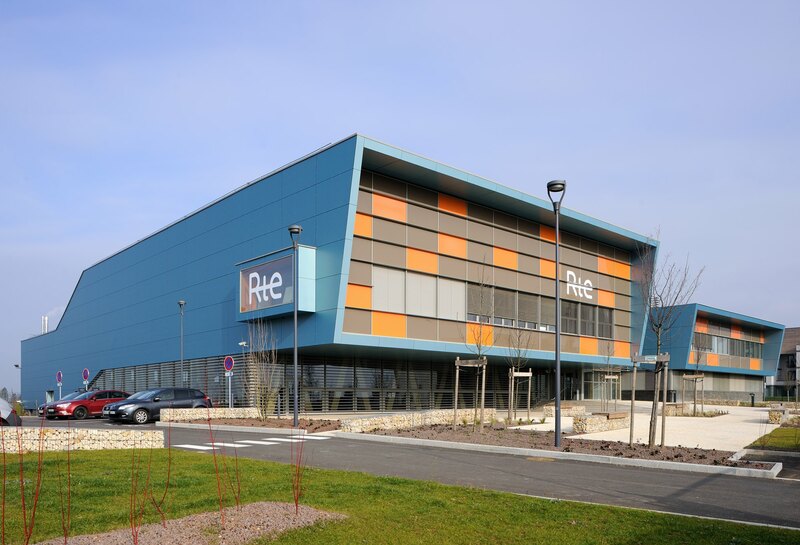 is now a national expert at RTE in the National Center for Grid Expertise, on the monitoring and maintenance of the HVDC and SVC French facilities. Sébatien Dennetière graduated from École Supérieure d'Electricité (Supélec) in France in 2002. He received the M.A.Sc. and Ph.D. degrees from Polytechnique Montréal in 2003 and 2017, respectively. From 2002 to 2004 he worked at IREQ (Hydro-Québec) on research and development activities related to the simulation and analysis of electromagnetic transients. From 2004 to 2009 he worked at the research center of EDF in the field of insulation coordination and power system simulations. In January 2010 he joined the French TSO RTE (Réseau de Transport d'Electricité) where he is currently involved in power system simulation. Jean Mahseredjian is the creator and lead developer of EMTP. From 1987 to 2004 he worked at IREQ (Hydro-Quebec) on research and development activities related to the simulation and analysis of electromagnetic transients. He is currently with the faculty of electrical engineering at Polytechnique Montréal, where he is pursuing research activities in the field of power system transients and power system analysis in general. Since 2018, Jean is also the CEO of PGSTech where EMTP development and consulting services are offered. Pierre Rault obtained a Ph.D. degree at Ecole Centrale de Lille in 2014, named “Dynamic Modeling and Control of Multi-Terminal HVDC Grids” in collaboration with RTE. Since then, he is working at RTE doing research on HVDC activities such as interoperability MMC and he also provides support for current RTE HVDC projects. His field of expertise includes EMT offline and real-time simulations of HVDC systems. Hani Saad received his B.Sc. and Ph.D. degrees in electrical engineering from Polytechnique Montréal in 2007 and 2015, respectively. From 2008 to 2010 he worked at Techimp Spa. in the Laboratory of Materials Engineering and High Voltages (LIMAT) of the University of Bologna on research and development activities. In 2014, he joined the French TSO RTE (Réseau de Transport d’Electricité), where he is currently involved in HVDC projects and EMT studies. Marco Schudel is an engineer in the Power Electronics Department of RTE currently working on converter stations for HVDC interconnectors. He previously worked in the Power System Expertise department of RTE’s R&D Direction on electricity market designs and optimal power-flow models. He graduated from the engineering school École Nationale des Ponts et Chaussées (ENPC) in 2014 and has a double degree (MSc) in applied mathematics from Université Pierre et Marie Curie. Which hotel to book in Lyon? Hotels are not included in your registration fee. We recommend that you reserve your hotel as soon as possible. The course will be held in the RTE training center in Jonage. You need 35 minutes to go there by tram from “La Part-Dieu” district in Lyon, close to the “Lyon Part-Dieu” railway station. In case you cannot attend the training after having registered, please contact us as soon as possible at marketing@powersys.fr. In case of cancellation less than three weeks before the beginning of the training, the participants will be charged 50% of the training fees. Please note that the participants will not be reimbursed of any travel and/or accommodation expenditure in case of cancellation of the training. We recommend you to make your travel arrangements once the training is confirmed by email.